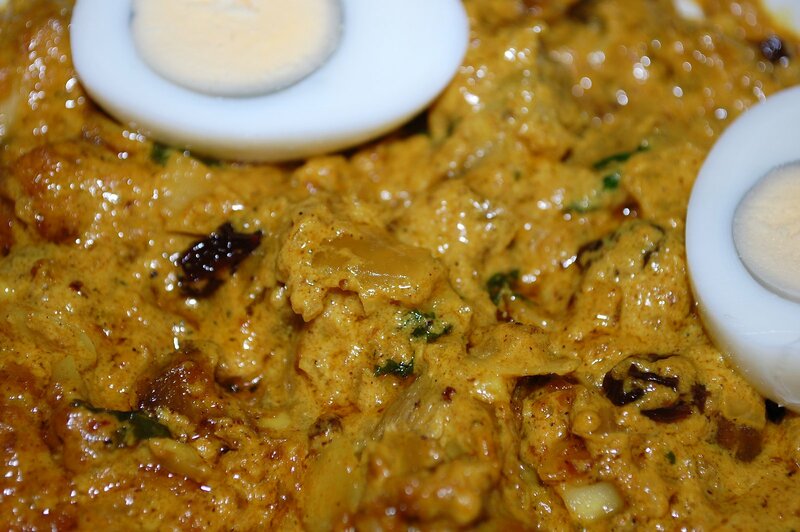 Since my blog the other week, I have looked further into the concept and style of traditional korma recipes and have found them a fascinating social history and felt that a korma would be ideal for Diwali. They seem to be a fusion recipe in the first place, so when Islam swept through Northern India and the Mughal Emperors became rulers of much of India with many smaller Princely States also being Islamic, they turned Westwards to Shiraz and the Royal Courts of Persia for inspiration in the arts and cuisine. 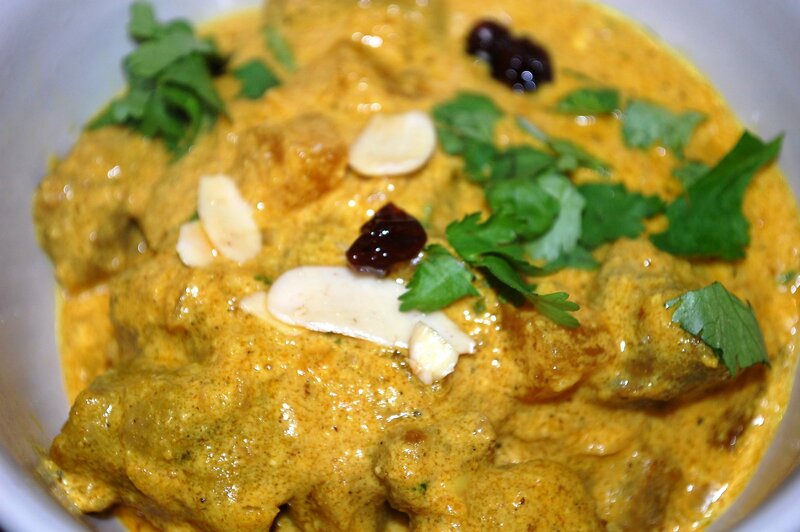 So korma morphed from a Persian style of food into an Indian cuisine, influenced by the nuances, tastes and flavours of the local culture and palates. It is a showy style of food, which includes the more exclusive and so expensive spices and dried fruits and nuts. We may not think of these as rich foods, but (at this time of year) think of Christmas cake, Christmas pudding and mincemeat - they are heavily spiced and full of dried fruits and nuts, all of which were expensive and exclusive ingredients for a feast day. So it felt just ideal to make this korma for Diwali, Axel's Diwali Korma, followed by a party-style Tea Infused Indian Rice Pudding, which will follow in a later blog. So I took two recipes that read well and gave me the feeling that they would be good, then I adjusted the seasonings from grams to teaspoons and lowered the salt level, coming up with my own version of a true Imperial korma recipe. My version is very light on chilli heat as I cook for our family, but you can tweak and adjust the level of heat to whatever you wish, but remember this is not a hot curry but a spiced and rich meal, so better to have a small bowl with fresh chillis in it for everyone to increase the heat themselves to suit their tastes rather than change the balance of the spice blend. The key is adding saffron water at the end to add more liquid to the largely dried out yoghurt as well as to give my korma a rich intensity. Adapted from Korma Asafjahi from Nizam of Hyderabad and Korma Shirazi from"Cooking delights Of The Maharajas" by Digvijaya Singh. Preheat the oven to 180C / 350F. 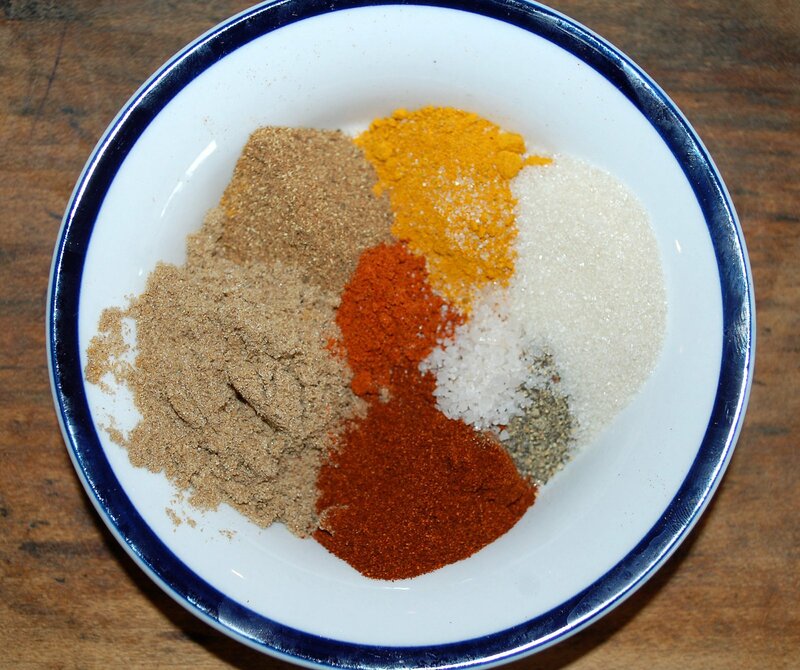 Meaures out the spices and mix them together. 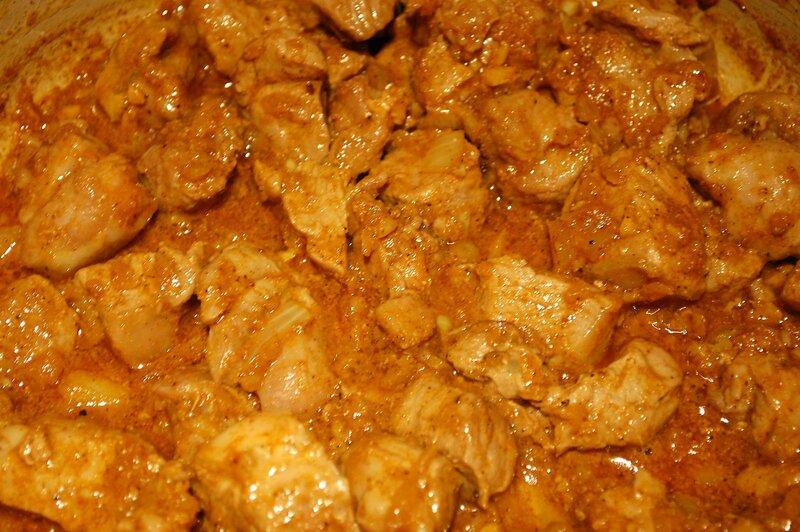 In a frying pan, heat half the ghee until hot, add the lamb pieces and fry quickly on a high heat until fully sealed. Take off the heat and keep to the side. 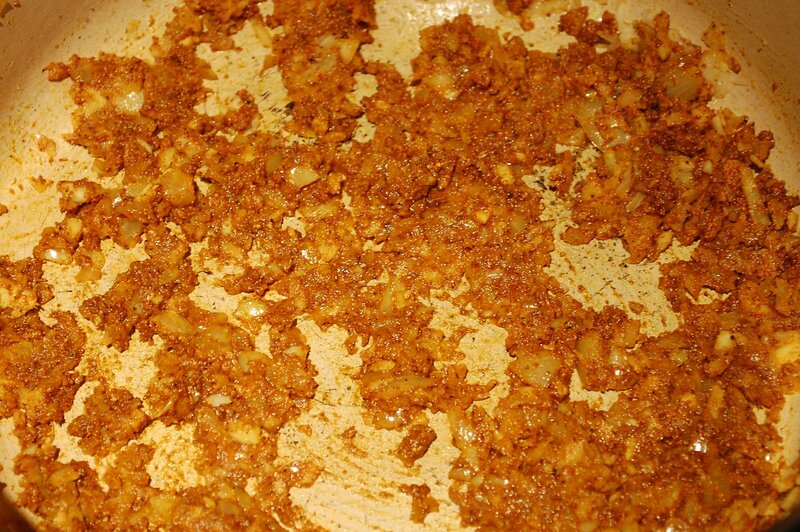 In a separate casserole pot, heat the remaining ghee. 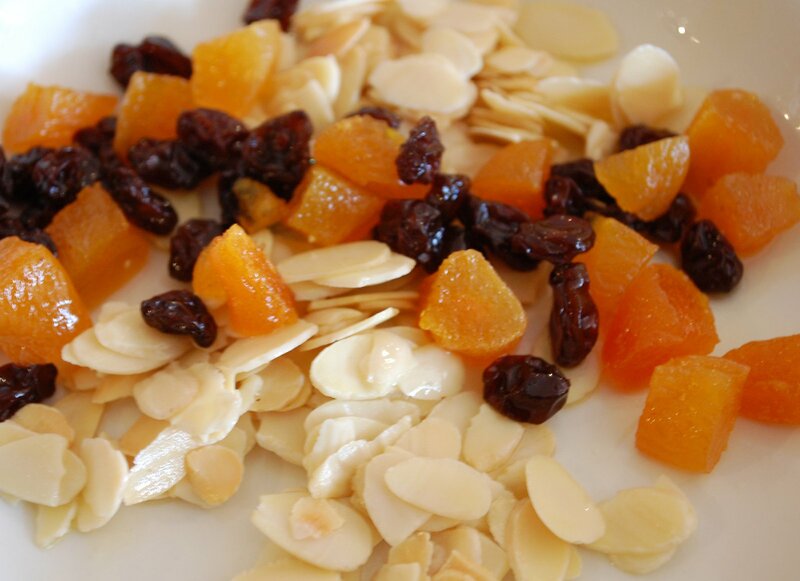 Fry the almonds and raisins separately to a golden colour and then set aside. 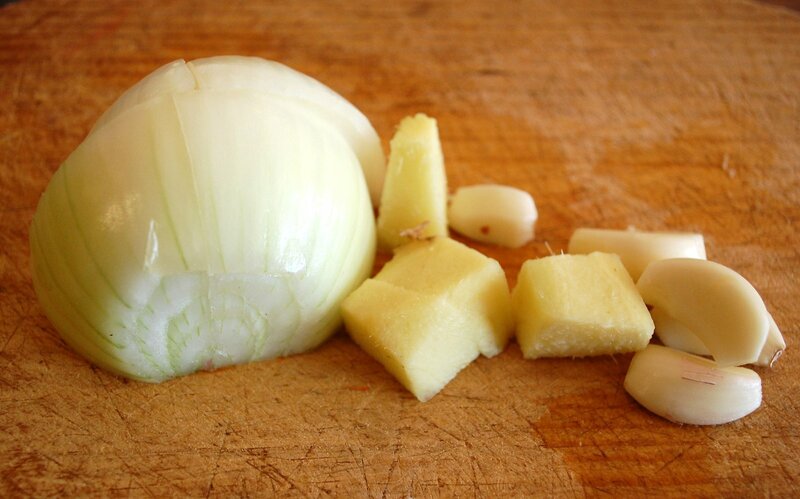 In the same ghee, fry the chopped onions, garlic and fresh ginger until golden brown, then add the spices and sugar and fry for 1 minute; add 2 tablespoons of water and cook until the water has dried up. Add the lamb to the onion-spice mix and stir. Now add the yoghurt, stir well and cook until simmering, then place into oven for 1 hour, or (if cooking on hob) reduce the heat and cook for 1 hour, stirring occassionally to ensure the mix does not stick on the base of the pan. 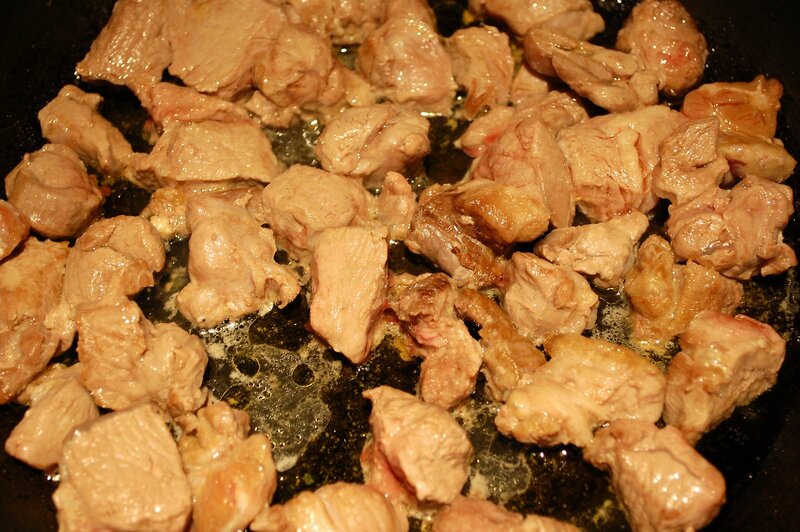 When the meat is tender, add the almonds, apricots and raisins and stir quickly and cook for 1 minute at medium heat. Finally, add the saffron infused water and coriander leaves, stir and cook for another 4 minutes on a low heat. Serve immediately, decorated with the sliced eggs. We ate ours with chana masala and homemade naan bread, which I am still experimenting with - this version was a bit heavy and thick, but was a much better recipe than the last which was way too yeasty. * For an Imperial and more Arabian style flavour, infuse the saffron in 30ml of rose water. Our kids do not like the flavour of rose water in their meat so we skip that added flavour.